“One of my goals when I started in April 2013, was to upgrade facilities in all of our [high schools] and we have been able to do that,” he told the MSR at the March 30 grand opening. 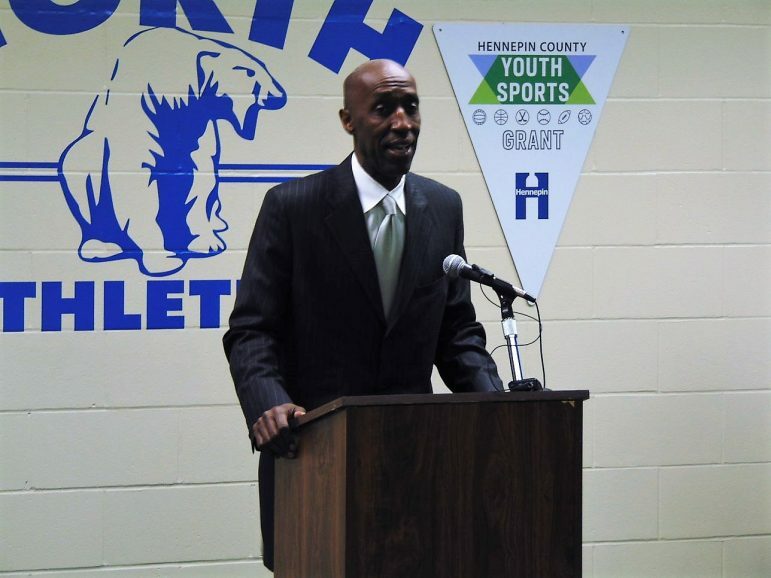 Nearly $20 million in Youth Sports grants over the past seven years have been distributed to 122 capital improvement projects [facilities] and 221 equipment and small projects, including urban and suburban athletic fields and playgrounds. Facility grants ranging from $10,000 to $300,000 are awarded once each year; and equipment grants, ranging from $1,000 to $10,000 are awarded each year in the fall and spring. Each year, sales taxes from the Minnesota Twins downtown ballpark (up to $4 million) funds the Youth Sports grant program, as well as additional hours at 15 Hennepin County Library locations, including Sunday hours. South received $250,000 for synthetic turf and track surface. “It is important to keep all the teams together,” added North High football player Davonte (Leon) Haynes, a junior. Read more on North’s new fitness center and MPS athletics in “Another View” in this week’s MSR sports section.